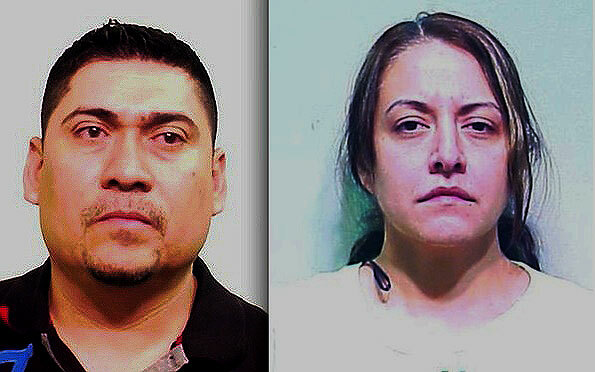 Carmelo Rios (left) and Maria Garza (DEA/Cook County States Attorney photo). The owners of a northwest suburban Pizzeria and several other individuals have been charged with participating in a major narcotics trafficking operation responsible for importing kilogram quantities of heroin and other drugs into Cook County following a joint investigation by the U.S. Drug Enforcement Administration (DEA) and the Cook County State’s Attorney’s Narcotics Prosecution Bureau, which was announced today. Maria Garza, 37, and Carmelo Rios, 35, both of Arlington Heights, have been arrested and face drug conspiracy charges following the joint, six-month undercover investigation. Four additional defendants have also been arrested and charged including two men from Chicago, one man from California, and one man from Philadelphia. Two additional defendants are being sought by authorities. Garza and Rios are the owners and operators of DeLuca’s, a pizzeria that opened Aug. 1 in Buffalo Grove. Numerous media sources point to the pizzeria that is located at 1008 Weiland Road near Weiland Road and Deerfield Road in Buffalo Grove. According to prosecutors, Rios and Garza were identified by investigators as the importers of kilo quantities of heroin, methamphetamine and marijuana. The couple is alleged to have arranged for shipments of heroin originating from Mexican sources of supply to be transported to the Chicago area for distribution both locally and to buyers on the East Coast for subsequent distribution there. During the course of the investigation, DEA agents recovered approximately 7.5 kilograms of heroin, 1 kilogram of methamphetamine and 5.1 pounds of marijuana all with an estimated street value of $900,000. Surveillance conducted during the operation captured the defendants arranging the delivery, sale and transportation of the narcotics to their customers. Search warrants were executed Thursday at the residence of Rios and Garza in the 1100 block of South Mitchell Avenue in Arlington Heights, as well as at DeLuca’s Pizzeria in Buffalo Grove. Alexander Colon-Ortiz, 37, of Philadelphia, PA.
Fredy Arroyo-Ortuna, 32, of Placentia, CA. Warrants have been issued for two additional defendants in the case. All of the defendants have been charged with Criminal Drug Conspiracy and are facing 15 to 60 years in prison if convicted. Garza, Alberto-Gonzalez, and Zaragoza appeared today at the Cook County Criminal Courts Building in Chicago. Garza’s bond was set at $1 million and Alberto-Gonzalez and Zaragoza’s were set at $700,000 each. Rios and Colon-Ortiz where arrested on November 21 when investigators learned they would be making a delivery of heroin and marijuana and stopped their vehicle. Arroyo-Ortuna is in custody in California pending his extradition to Chicago. All the defendants except Arroyo-Ortuna are expected to appear for preliminary hearings on December 12. “Two of the individuals charged in this investigation with drug conspiracy attempted to legitimize themselves as business owners to cover up the alleged distribution of devastating illegal drugs. The Cook County State’s Attorney’s Office has been an invaluable partner in attacking drug trafficking organizations that have ties to foreign sources of supply and operate within our neighborhoods,” stated Jack Riley, Special Agent in Charge of the Chicago Field Division of the Drug Enforcement Administration. State’s Attorney Alvarez thanked the DEA for the agency’s ongoing cooperation and work in this case. “This is an excellent example of an effective joint law enforcement investigation that will have a direct impact on the street sale and distribution of narcotics in Chicago and suburban communities,” Alvarez said. 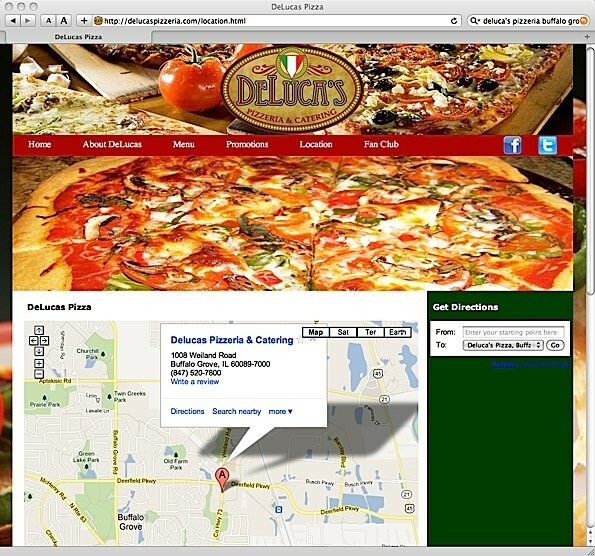 A search for DeLuca’s Pizzeria matches this website located in Buffalo Grove.